This Saturday over 150 people will travel from across the country to Washington DC for the 7th Annual End Mountaintop Removal Week in Washington. Together they will blanket DC with one clear message: Stop Mountaintop Removal Coal Mining in Appalachia. For years we’ve lobbied Congress. This year, we’re raising our voices a little louder. But we won’t be successful without YOUR help. Mark your calendar for one week from today and join thousands on June 6th, and demand an end to mountaintop removal coal mining. Set up an in-district meeting with your local Congressional office or just drop by. Setting up a meeting is simple! Here’s how. This simple action will have a huge impact. We have many champions fighting with us in Congress - 121 to date - but many more who have repeatedly turned a blind eye to the deadly situation in Appalachia, or worse — actively campaigned to weaken what little protections exist. But it’s time to stand up to those bad actors and demand more, because Appalachia deserves better. We will win, but we need you more than ever. Big Coal has taken note of our progress – and they are working overtime to erase our victories and block the passage of this bill. Stand with us on June 6th. If you can’t come but want to help others attend, donate here to support the 7th Annual End Mountaintop Removal Week in Washington. By now you don’t need to be convinced that climate change is happening. Record-setting heat waves, storms, and droughts are all occurring with increased intensity and regularity, making change visible to all. But while we’re all familiar with the problem, solutions haven’t been as simple to talk about. In fact, it often feels like there’s very little any one individual can do. Sign here to support the EPA’s historic limit on carbon pollution. For the first time ever, the EPA has proposed a limit on carbon pollution. It’s a courageous and critical step toward curbing carbon emissions from fossil-fuel-fired power plants and solving the climate crisis. And it’s your opportunity to take real action. By clicking here you will be signing and sending a message to the White House that this measure is a step in the right direction — a direction of leadership on the issue of climate-altering carbon pollution. It could just be the most important click you ever make. Support the EPA’s historic limit on carbon pollution — then pass this on to your friends so they can sign, too. Take a moment to add your voice. Tell our leaders that it’s time to real steps toward solving the climate crisis. Push button to sign now. Upon discovering research that identified pesticides as a leading contributor to declining bee populations, Monsanto, a major producer of genetically modified foods, decided to simply buy out Beelogic, the research company. 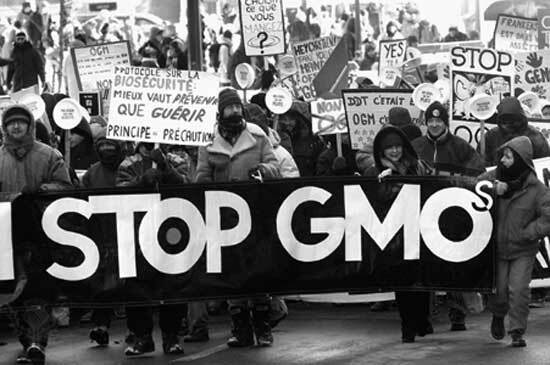 Monsanto will now be able to point the blame away from chemicals used in GMO food production. And to make matters worse, the United States Department of Agriculture (USDA) may begin to use this bogus research, which will encourage other companies to fund and manipulate research as well. It is imperative that we find the real reasons why the bee population is declining.